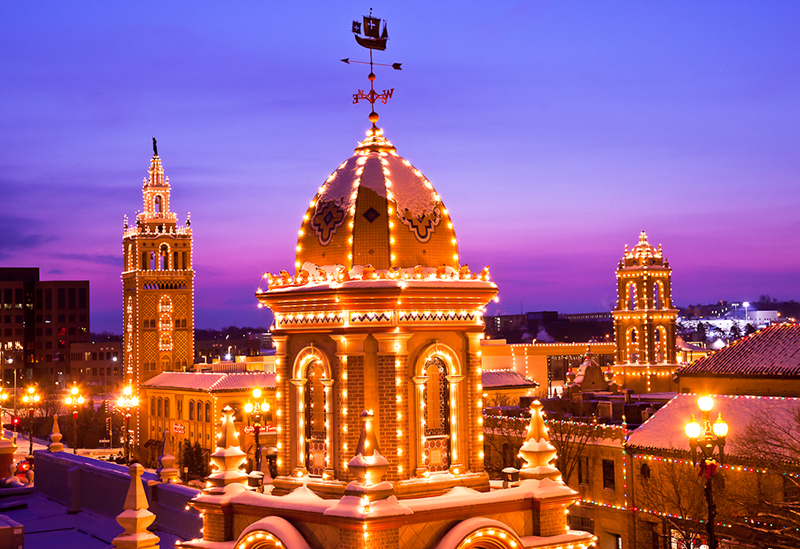 A local tradition for 89 years, Plaza Lights is a 15-block holiday spectacle on the famed Country Club Plaza, featuring thousands of glimmering, jewel-colored lights that accentuate every dome, tower and window of the Spanish-inspired shopping district. 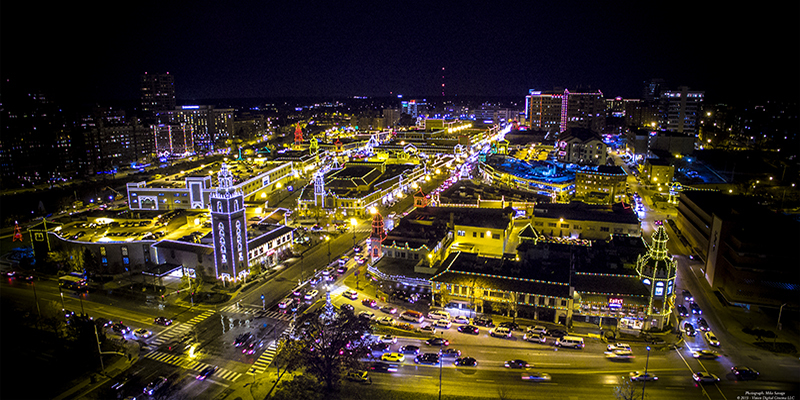 The KCP&L Plaza Lights shine daily from 5 p.m. to 3 a.m., Thanksgiving through mid-January. All Plaza parking garages will be open and accessible throughout the KCP&L Plaza Lights season. While enjoying the lights, shoppers can peruse the detailed window displays and take in the sounds of the season, from the clip-clop of horse drawn carriages to the holiday songs of carolers. What started with a single strand of Christmas lights strung over a store entrance in 1925 has become a living legend as the most spectacular holiday lighting display in the nation. The first Plaza Lighting Ceremony took place in 1930. Putting up the lights is no small task. Starting after Labor Day each year, a crew of four electricians from Capital Electric begins stringing the lights while the weather is still warm. Special trucks with lifts let workmen reach tall places. To ascend the domes and towers, workers use ropes and shoes just like mountain climbers to keep their footing. As Thanksgiving approaches, midnight “light runs” test the lights to guarantee they all simultaneously switch on. During the holiday season, workmen are kept busy replacing the many thousand bulbs that burn out. Removal of the lights begins right after the holiday season ends. All lights are down by March and taken into the shop where they are checked, coiled, tied, wrapped and cataloged for storage until the next year’s event. Tower lights are always one color. For example, The Time Tower, at Broadway and Ward Parkway, is always red. The lights don’t stay up all year long. The hard-working crew from Capital Electric begin hanging the lights in August and take them back down starting in mid-January through the beginning of March. The big switch on the stage at the Plaza Lighting Ceremony really does turn on all the lights. The child selected to help turn on the lights from the audience is always chosen at random. A lights test occurs on the Wednesday before Thanksgiving from 2 to 6 a.m. 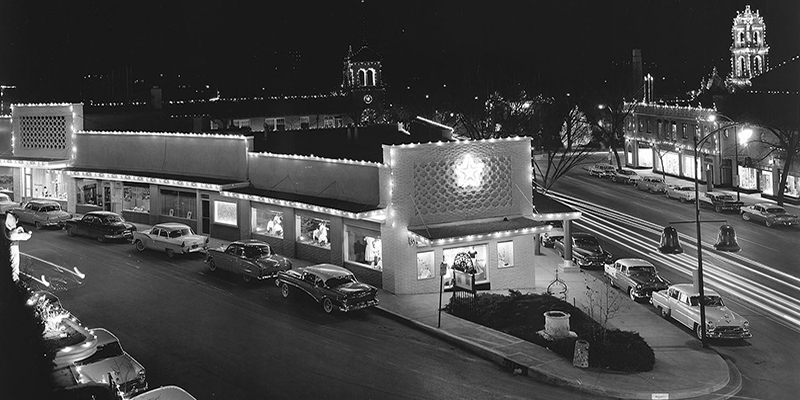 The only time that the Plaza lights were not in operation occurred in 1973 when President Nixon called upon all Americans to curtail the use of Christmas lights to reduce dependence on foreign oil imports. Guests who have been invited to turn on the Plaza Lights include: George Brett, Trent Green, Kate Spade, "Fastest Man in the World" Maurice Green, Paul Rudd, Jason Sudeikis, Eric Stonestreet, Walter Cronkite, Derrick Thomas, Marcus Allen, Buck O’Neil and Oleta Adams. All of the Plaza’s parking garages are free and open to the public. Best viewing options for the Plaza Lights include Halls rooftop, which would allow you to see the actual ceremony. 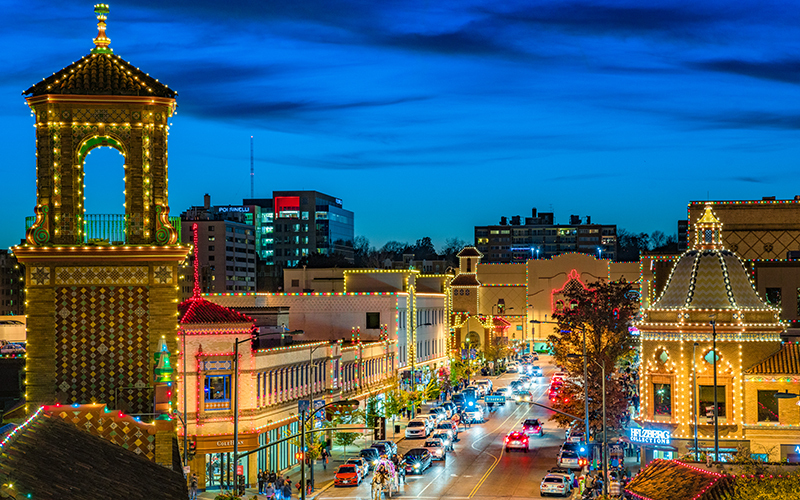 Other rooftops with good views during the season of lights include McCormick & Schmick’s, The InterContinental Kansas City Hotel and the second floor of Barnes & Noble. 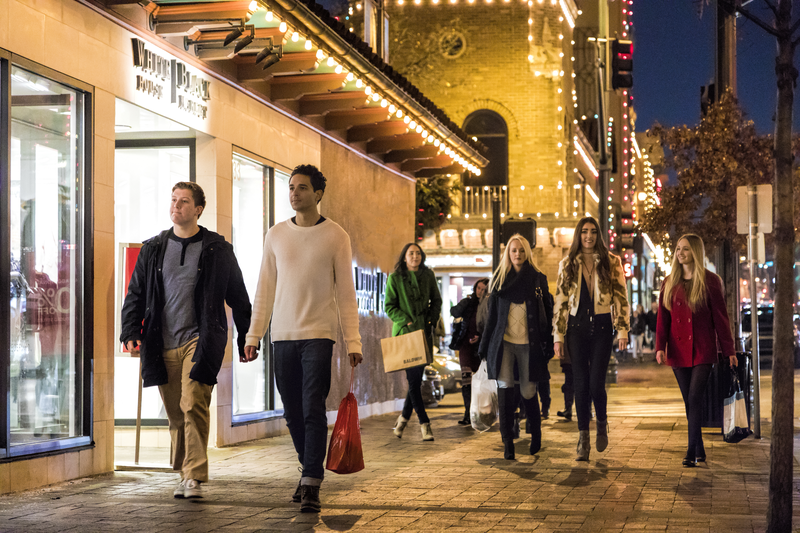 The Plaza’s shops have extended hours during the holiday season. The best time to take a carriage ride on the Plaza is during the holiday season. Two carriage companies operate all-year, Surrey’s Carriage Company at 816-531-2673 and Pride of Kansas City at 816-531-1999.